Sometimes, it’s great to be able to watch shows while earning money. Or, you just want to kick back and relax. Seeso is a new streaming service from NBC that has all the comedy you can imagine (every episode ever of Saturday Night Live for example), original shows, an entire section dedicated to British comedy, and more! Be sure to sign up for a free trial to Seeso here! Let’s get this thing started! First things first, I’m Cassie. I have two dogs and recently got engaged! My current goal is to earn enough from Swagbucks to pay for my honeymoon in Spring 2018! (We’ll talk more about that later). I’m sure your wondering what this Swagbucks thing is and how it works, right? Swagbucks is a GPT (Get-Paid-To) website, basically brands and sponsors pay Swagbucks to advertise for them and Swagbucks gives us a cut of the money for viewing and interacting with their ads. By using the site you will earn Swagbucks “SB” which are basically $.01/+ USD (depending what you cash out for) Ex: 5000 SB = $50(US). Watching videos, answering surveys, interacting with brand ads, playing games, signing up for offers, purchasing through the site, and redeeming coupons at your local store are just some of the ways to earn on the site. Once you collect enough points you can cash out for gift cards to popular stores (Amazon, Walmart, Target, etc), Visa gift cards, or PayPal cash. 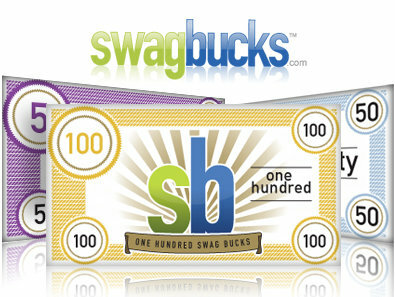 — Swagbucks is 100% free. No sign up fees, cash out fees, or hidden fees. — Make an email dedicated to Swagbucks, you’ll be thankful for this in the future. Many offers are newsletter sign ups, click-throughs to sponsor sites, etc. which means a lot of junk mail and sales emails. — Sign Up Here to Get Started! Make sure to check back for our upcoming site tutorial and walk through of most common ways to earn SB. Swap Caps is an awesome bidding site where everything can be free. You can list items to sell for “caps”, as well as earn caps from offers, videos and surveys to use for buying different items. 100 caps are worth ~ $1.00 USD. You will receive 250 free swap caps when you join. Click here to join and receive 250 Swap Caps! App Trailers is a very simple app. You watch videos of apps to earn points. The minimum cashout is $0.50 to PayPal, where 500 points is worth 50 cents. You can also cashout for giftcards such as Starbucks and gaming codes (Xbox, League of Legends, PlayStation, Nintendo eShop, and Steam). Every video watched is worth anywhere from 3 to 15 points and they add up really fast. You can download the app on iOS and Android devices at AppTrailers.com and use the referral code azriel5 to earn 50 points towards your first cashout. Also, please contact us on facebook for tips or if you are stuck.